You have chosen to mount the first ever 'hostile takeover' in the 50-year-old unblemished Indian IT industry. If you persist in what you are doing, you will be forever remembered for this. Is this how you want to set an example? You are a company with a turnover of Rs 120000 crore. You are 18 times our size. Why can't you build a great technology business with all your resources and capability without decimating another organisation? Our customers choose us for our unique culture. They will stall all future business and even take their business elsewhere. In the process, you would have demolished shareholder value for both companies. Is this the right thing to do? This is a people's business. Our people have signed up for a mission and not just a salary. Take their mission away and they will go. What would you be left with? If companies like you behave with extreme hostility to first generation entrepreneurs, what message are you giving to all start-ups in the country? Mindtree by no means is a start-up nor any of these questions qualitatively emphasise the reason for opposition from the founders. The deal according to the founders is being opposed primarily on two counts. One because L&T already has a company (LTI) that competes with Mindtree for business and second the cultural difference of the organisations. But this emotional appeal by the founders has come in too little and too late . Ever since VG Siddhartha stepped down from the board of the company in March last year, his stake sale was just a matter of time. So, why didn't the founders see an impending takeover? CEO Rostow Ravan, has an answer. "The way it finally turned out, as of yesterday evening, when this announcement came out, it was a surprise." On asking why talks held by the management with several other private equity players did not fructify, he said, "We were presented with a set of facts as of yesterday evening and we are dealing with those facts as of now." 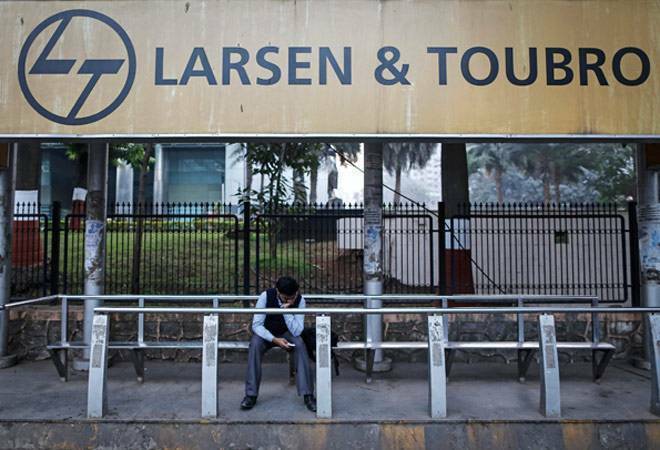 Interestingly, the founders have tactically, in what could be seen as a veiled threat, have now challenged L&T with a scenario where if the clients, employees and the founders are on one side of the fence, in a people's business, a new management will find it hard to run the company. However the bigger question of what Mindtree's game plan to thaw L&T's move remained largely unanswered, but the company hinted at efforts that were being carried out. The company said that it was continuously in touch with the largest external investor Nalanda capital who stand by the management indicating that there was no likelihood of their participation in the open offer. Subroto Bagchi called on the leaders of IT industry and other father figures of corporate India to come in this 'moment of difficulty' and make sure that corporate India (L&T) does not do something which will dissuade generations - making this takeover bid look like a larger industry problem. With the company now looking at a buyback and now with also an open offer announcement, the procedural requirements now stand changed for the same. "Based on the legal advice that we got, in case there's an open offer and a buyback is announced at the same time, 75 per cent shareholder approval is required to launch the buyback. So, that's the most important thing that the board is going to consider tomorrow," said Rostow. The board meets on Wednesday to take up the buyback proposal.